To reshape the nose and to make it proportionate with other facial parts it is possible to have a cosmetic surgery. Some people might have bigger noses that make them feel odd and some people have comparatively smaller noses that look like sticking to faces. There are some other issues related to specific parts of noses such as enlarged nostrils, tips of noses facing too upward or too downward. Cosmetic surgeons design and execute rhinoplasty surgery depending on the specific requirement of reshaping the nose of a particular patient. Patients need to have comprehensive consulting with experienced surgeons explaining their difficulties. Surgeons determine the exact procedure by taking photos of nose and some other methods so that properly derive an effective procedure to reduce, enlarge or correct the shape and proportionate size of patient’s nose. Usually this surgery is performed administering local anesthesia, sedation or general anesthesia. It depends on the understanding between the patient and the surgeon and diagnosis that may require a specific procedure. According the desired result surgeons can take incisions inside the nostrils which is known as closed rhinoplasty, or between the nostrils which is known as open rhinoplasty. If it is required to adjust and reshape the tip of the nose, surgeons can remove bone and cartilage through incisions inside the nostrils. Though the freedom of the surgeons to have a clear view of underlying cartilage would be limited in this procedure, the incisions would be sufficient for making the desired task. At the same time, scars would be minimal and even patients would get less swelling and reduced recovery time when closed rhinoplasty would be performed. However if it is required to add implants to enlarge the shape of nose and work on some other irregularities, surgeons prefer open rhinoplasty as it provides them clear view of the nasal structure and allows them to place implants wherever necessary quite easily. 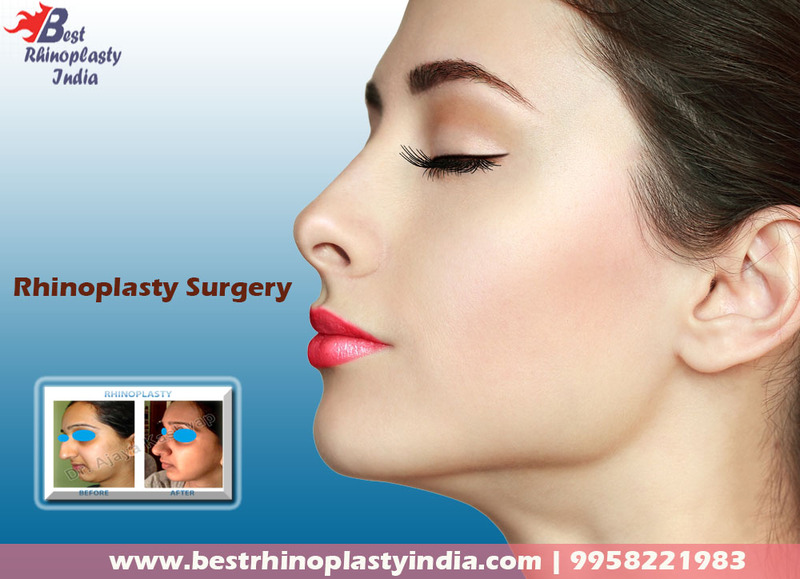 Nose surgeon cost (www.bestrhinoplastyindia.com) mainly depends on his experience and expertise, location of his clinic and type of procedure adapted for the surgery.